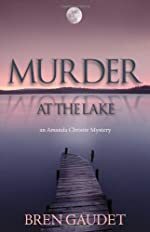 Amanda Christie: A First Clues Mystery Series for Kids. About the series: Amanda Christie is an adventurous teen sleuth. She travels to many exotic locals with her best friend, Katie Doyle, and will face death and suspicous goings on … yes, there is a bit of romance for Amanda, with her boyfriend, Chris Jason, an all-star college baskeball player.